With the New Year right around the corner, it's time to think about resolutions. Many people choose the traditional New Year's resolution "out with the old, in with the new!" I know I'm a month early, but that's exactly what I did over the weekend - I donated the majority of my "old" clothes and went shopping for "new" clothes. I simply couldn't hold out any longer, it was time! My girlfriend and I had a "girl's day" without kids... we started off with pedicures, then shopping, lunch, and more shopping! We had a wonderful time and it was so nice having her there helping me pick out new clothes, clothes that actually fit and flatter my body instead of hiding and covering it up! Another exciting thing that happened over the weekend as part of my Nutrisystem progress is that I received another Nutribear! For every 10 pounds you lose, Nutrisystem sends an adorable, colorful little bear to help celebrate your success! Nutribear 10 "Pound" - Achieved Week 3 - Lost 3.2 pounds for a total of 11.8! Nutribear 20 "Commitment" - Achieved Week 7 - Lost 3 pounds for a total of 21.6! Nutribear 30 "Community" - Achieved Week 11 - Lost 2.2 pounds for a total of 30.2! Nutribear 40 "Determination" - Achieved Week 16 - Lost 2.6 pounds. Down a total of 40.4 pounds and 32 3/4 inches! That brings my total weight loss to 44.9 pounds! I'm so close to earning my Nutribear 50 "Encouragement" and Nutribear "GOAL!" Then, I think I might take it one step further and "Focus" on the Nutribear 60! If you've been wanting a great program that helps you lose weight, NOW is the time to join because Nutrisystem is 40% off! In addition, I can send you $30 in Buddy Bucks good towards your first order. If you're interested in ordering, send me an e-mail and I'll get you a $30 coupon to help get you started on your weight loss journey! Do you enjoy shopping for new clothes? You are doing a great job! 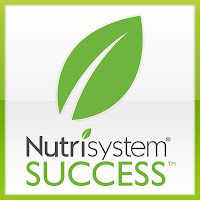 I would soooo do Nutrisystem if they had a gluten free product line. great work on the weight loss! and those bears are so cute! Damn girl, you are rocking it!! Those bears are adorable too!! "That brings my total weight loss to 44.9 pounds!" That is amazing!! Way to go! Wow, you are doing AMAZING! And those bears are just way to cute. I am sure that gives you a bit more get up and go to get the goals! Oh wow!! Congrats on your weight loss :) That's awesome! Another great week, you're doing great! Yay! You are doing so fantastic! I am loving that they send you bears for every ten pounds - very cool! You're almost to your goal, AND it's during the holiday season! You're amazing! You're so rocking it!! Congratulations on another milestone!!! Nice respond in return of this matter with real arguments and describing all regarding that.